He is very professional and conscientious about his work. His job is not completed until the customer is totally satisfied. His company was the last one we interviewed and we selected his company over top rated contracting companies. He listened to your requests and gave us what we wanted and did not ever try to sell us things we did not want like many other companies. 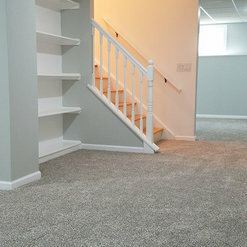 We are so happy with the type of work Sunset Custom Basements does and would use them over again and recommend them. We met with a few contractors to get quotes and input on a basement finishing project for our approximately 800 square ft.unfinished basement. Two contractors told us we couldn’t finish the entire basement because our HVAC trunk that ran down the center of the basement would not meet code (about 2-3 inches below code) and It would be unlikely that town would issue a permit. However, after meeting with Greg, he advised that we could apply for a state modification that would allow us to finish the entire basement. He was very informative. 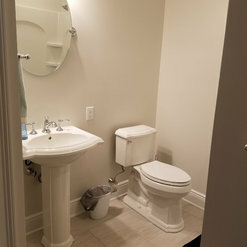 He provided us with a detailed and comprehensive quote and set our expectations accordingly with respect to the timeline to complete the project. We decided to move forward with Sunset Custom Basements and we are so happy that we did. He took care of applying for both permits. 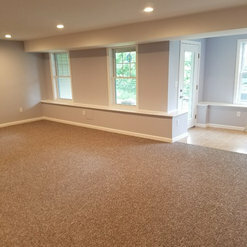 He did a phenomenal job on our basement and keep us informed throughout the whole process. He had a great work ethic and paid close attention to detail and delivered a quality end product and our entire family is enjoying our new space. I highly recommend them for a basement finishing project. If you are considering remodeling your basement, I strongly urge you to consider Sunset Custom Basements for your project. We contracted Greg in the spring of 2016 to remodel our basement. His professionalism was evident on our first meeting. He listened to our thoughts and desires and came back with a proposal we couldn't refuse, well within our budget. Greg was on site at all times work was in progress and finished the project in a timely fashion. The quality of his workmanship was excellent. the highest compliment and review I can give you is that Greg came in as a contractor but left as a friend. Greg and his team associates are excellent. 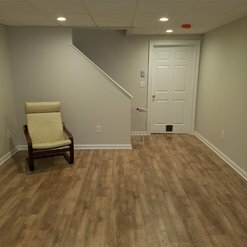 Greg restored our basement after a flood to an even higher level than before. We love it. His professional, honest style makes him a great partner. He has diligent follow up and is timely, polished and provides beautiful work, which made us plan to hire Greg for another big project we have in the pipeline. We also referred him to our friends/neighbors for their basement creation -- and they were just as happy as we were with his work. 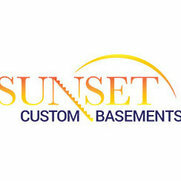 If you hire Sunset Custom Basements, you will not be sorry! Gregg did an awesome job finishing about half (950 square foot) of our walk out basement. My wife and I could not be happier. 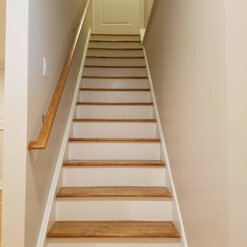 I would not hesitate to contact Sunset Custom Basements again for any future renovations or upgrades. Greg’s prices were very competitive and he did exceptional work. His attention to detail and craftsmanship were great. He finished the project exactly on time and was transparent throughout the process.